I got to visit the local zoo again today. It was just as rewarding, or even more so, than the last time. I made many photographs I am pleased with but this one I think is the most unique. We were there right around feeding time so all the animals were more active then they otherwise would have been. 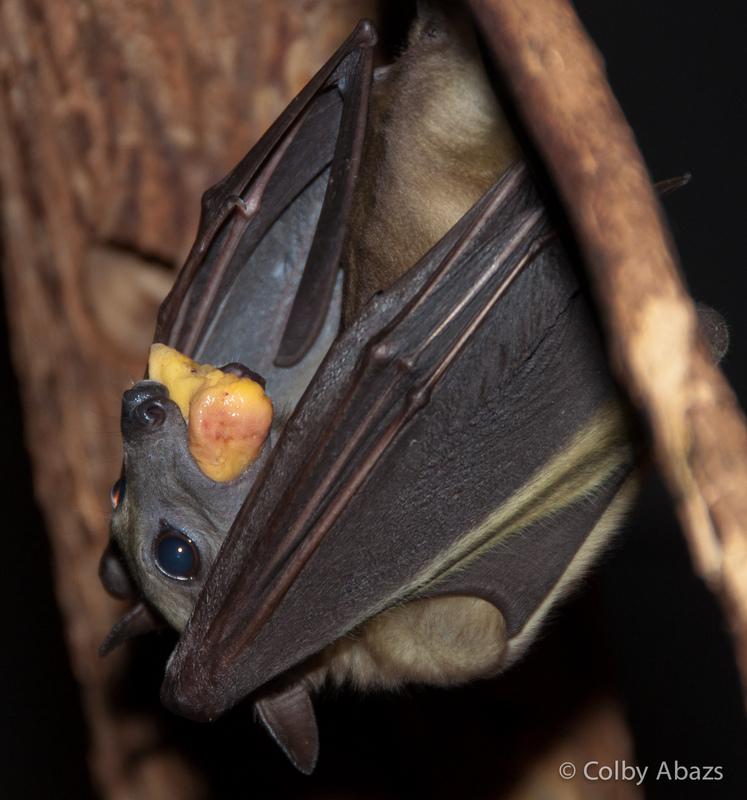 The batts were busy flying all over the place chowing down on fruit. I like this photograph because it is in focus, a huge challenge in the total blackness, the bat is hanging off a branch and it is eating.